The family were in Richmond on a beautiful sunny afternoon. Lunchtime struck and we headed straight to Wagamama. It was an easy decision as we all loved the restaurant and food. We have been to quite a few Wagamama’s in London and all of them have been great with providing children with a little light entertainment before their food arrives. Which always makes the dining experience so much better for kids and adults. The Richmond branch is upstairs, but does have access to a lift if you have a buggy. The restaurant isn’t big but it is well laid out. If you get there early enou gh you can have a pick of the window seats, which overlook Richmond High Street. Upon arrival, the kids were given their crayons and colouring sheets and started entertaining themselves, while my husband and I took a well deserved breather! The staff are always accommodating and if you have never been to a Wagamama before they are happy to talk through the menu with you and explain any ingredients to you. This is delish. I always have to add some additional chilli oil to my food, but I do like my food hot, hot, hot! 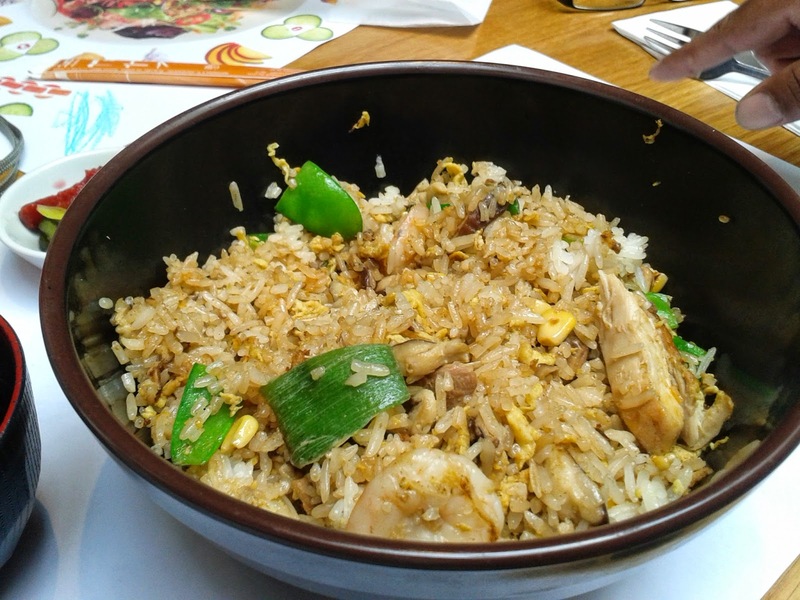 I had eaten this dish a number of times and I had also had the teppanyaki dishes (noodles cooked on a hot, flat griddle). I wanted to try something new and the waiter suggested one of the new dishes, the coconut seafood broth. This dish was absolutely delish. You do need a side dish to put the muscle shells away while you enjoy the rest of the dish. It is a light dish, but totally filling (if that makes sense!). The dish was rice noodles in a coconut and vegetable broth, topped with prawns, salmon, squid, scallops, mussels and stem broccoli, garnished with spring onions, chillies and coriander cress. I have to admit, this dish was really lovely. Hit the spot. Only problem was I didn’t have room for one of their wonderful desserts! 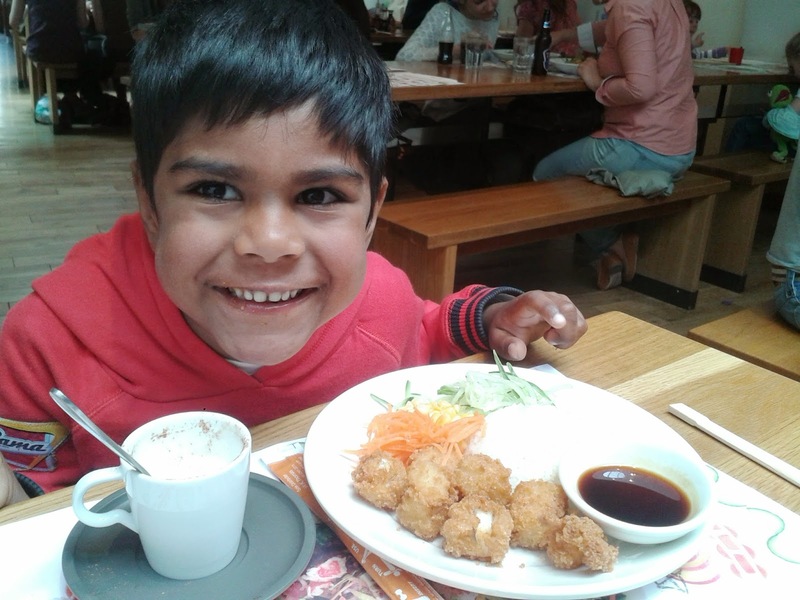 My kids chose two different options, one had the cod cubes and the other had the mini chicken katsu. 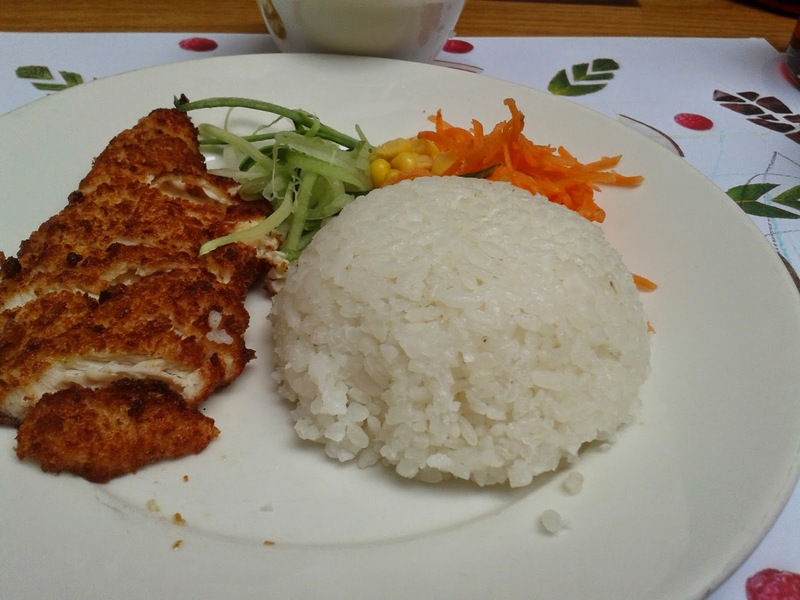 The cod cubes are deep-fried in panko breadcrumbs and served with sticky white rice, carrot, cucumber and sweetcorn. It is also served with either a katsu curry or amai sauce, which to be honest, I didn’t like the look of for the kids to eat, to I left that to one side. We also ordered some starters, the chilli squid and the pork ribs. 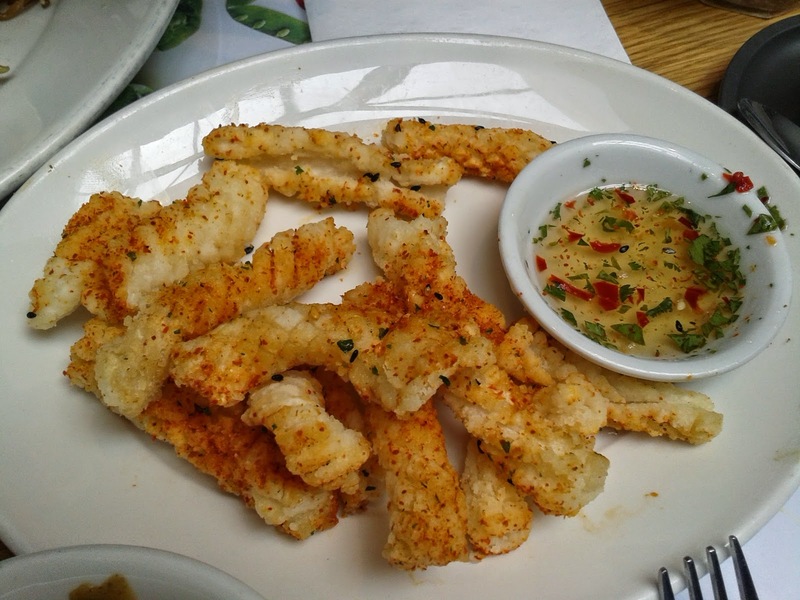 Although, the chilli squid were supposed to a little spicy, I didn’t find them too hot and nor did my son, he managed to sneak quite a few on to his plate! The kids loved the cocochinos, which are little espresso cups of warm milk sprinkled with cocoa powder. They feel so grown up drinking them! We had such a nice lunch at the Richmond branch. The staff were very helpful and the service was fast. After ordering our food (3 mains, 2 starters, 2 kids meals, glass of wine and 3 soft drinks) the kids food came out first, and then ours arrived less than a minute later. We must have waited about 5 – 6 mins in total for all our food to arrive. Fast food without all the junk food!! Wonderful. 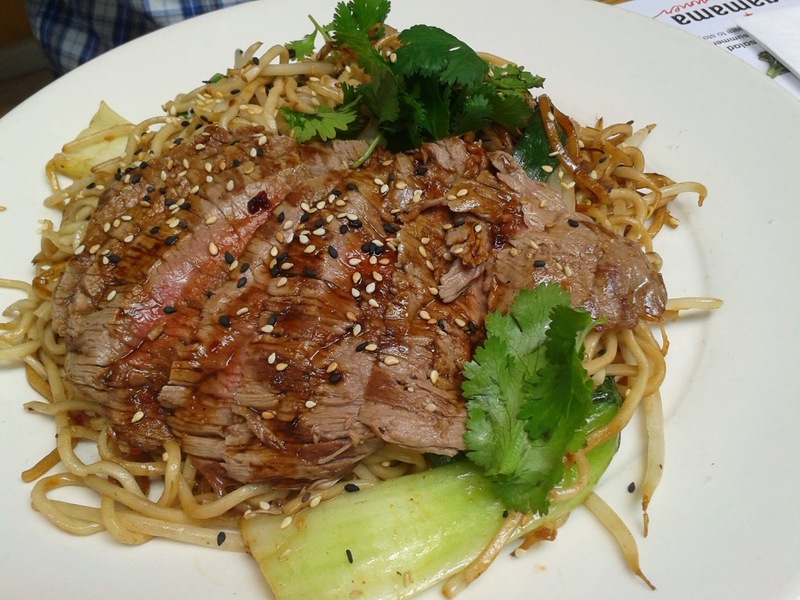 I really recommend Wagamama. Not just for the food, but the atmosphere and the ease of ordering and selection of food. It can be a little daunting for newbies, but the staff are always on hand to give you some guidance. Disclaimer: I was given vouchers to spend at Wagamamas. All dishes selected were our own choice and all views expressed are my own.